This tutorial shows you how to install latest Rubyripper on Ubuntu 13.04, 12.10, 12.04, 10.04 and Linux Mint, and old versions on Ubuntu 11.10, 11.04, 10.10. 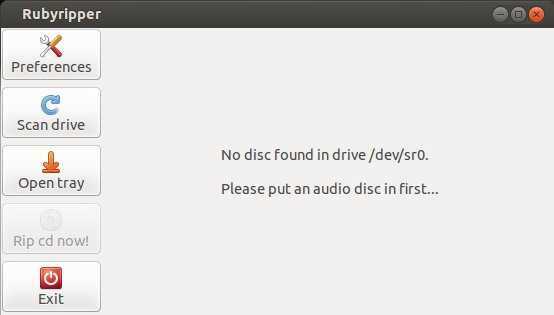 Rubyripper is a secure audiodisc ripper for Linux and OS X. It uses cdparanoia in a sophisticated way to make sure that a CD rip is done successfully and accurately. It is very similar to and inspired by EAC. Rubyripper is written in the ruby programming language. 1.) Download getdeb package, then double-click to install. It adds the getdeb repository to your system. NOTE: For Linux Mint users, run this fix before step 2. 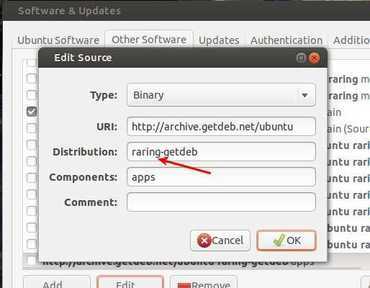 In this tutorial I was teaching how to install the app from GetDEB and NOW the repository adds support for Ubuntu 14.04 and Ubuntu 13.10.